Grooved bottom helps prevent adhesive from being squeezed out and leaves the glue in a better position to transfer to the carpet backing. Thermostat control has 4 heat settings, 135 deg. to 425 deg. 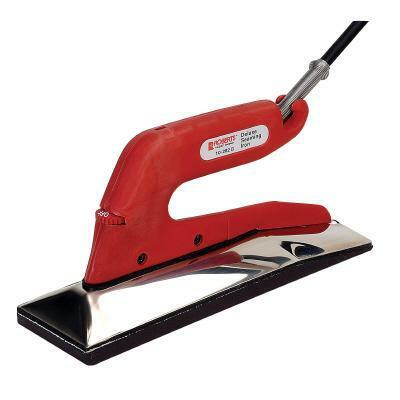 * Please call us with any questions about our hot seaming iron for carpet rentals in Oak Grove MO, Blue Springs MO, Independence MO, Lexington MO, Odessa MO, Independence MO and Western Missouri.